The Energy Technology Centre (ZET) is an interdisciplinary project carried out by different chairs and departments of the Dresden Technical University. It is also open to other internal and external parties interested in joint research, teaching and training activities. The planned new building will comprise four technical sections (combustion and gasification, training and experimental power plant, turbo machinery test area as well as rational energy usage and renewable energy) with a total of 40 test plants. Basis for consistent and accurate archiving of measuring data. RDS-PP, the new reference designation system for power plants, has become known to the Dresden Technical University through intensive cooperation with the planning agency GESA GmbH located in Dresden. In talks with the VGB, it became obvious that the new ZET building would provide an excellent basis for applying the RDS-PP system. The project is to be carried out in three stages (preparation, practical launch and training, validation of the applicability of the pilot scheme and the RDS-PP training module). All stages are planned to be accompanied and supported by experts of the VGB Working Panel Reference Designation and Plant Documentation . 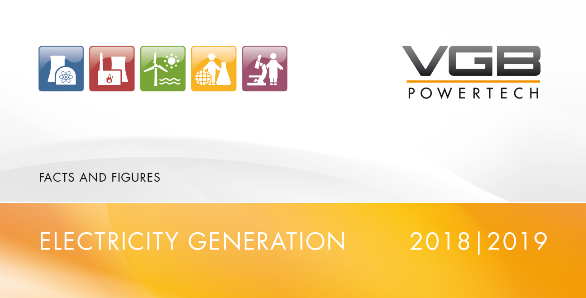 The findings and results of the above project are to be included in the VGB Guideline "Reference Designation System for Power Plants RDS-PP - Letter Codes for Power Plant Systems" (System Key) (VGB-B101) as well as in the "Application Explanations, Parts A and B: Discipline-specific Application Explanations" (VGB-B116). The project will be carried out at the Energy Technology Institute/Energy Technology Centre of the Technical University of Dresden under the direction of Dr. Karin Rühling between January 2009 and December 2011.